Summary (from Goodreads): Book II of the Nightshade Chronicles. The next step in the journey of the Nightshade City rats! 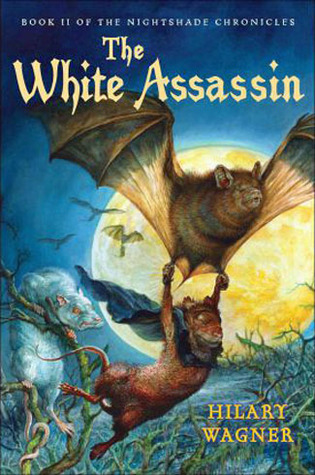 “Fans of Redwall and the Warriors series will love this heroic tale of good versus evil in a subterranean society of rats. The world of the Catacombs is so compelling readers will wonder if it really might exist under our city streets. Expect great adventures in Nightshade City.” ~ Rick Riordan, Author of the Percy Jackson and the Olympians series. My Summary: Three years after Juniper and his friends' adventure in the Catacombs, they begin to hear rumours about Billycan's plans to return. After aligning himself with snakes and swamp rats, Billycan fails. He is brought back to Nightshade City and given a 'truth serum', and though it does not have the desired effect, it ultimately causes buried secrets to become unearthed. My Thoughts: This was probably one of the most Epic (with a capitol 'E') children's / middle grade book I've read in a long, long time. I honestly didn't think that a book about talking animals (rats, no less) could be as great as this one was. The writing was amazing, and the character development... I was blown away by how much the author managed to change my feelings towards Billycan - especially after how evil he was in the first installment. She managed to turn someone who seemed purely evil into someone complex - someone that you can't really hate anymore after you find out his reasons for being the way he is. You gotta give props to an author who can do that. Final Thoughts: I definitely recommend this novel (and this series!) to anyone who enjoys middle grade or childrens novels that are complex and riveting enough for an adult to love. Check out the first book in the series! You won't regret it.